In a year that’s likely to go down as one of the best moments in horror history, A Quiet Place kicked off the hype early with a round of festival buzz followed by box office success. 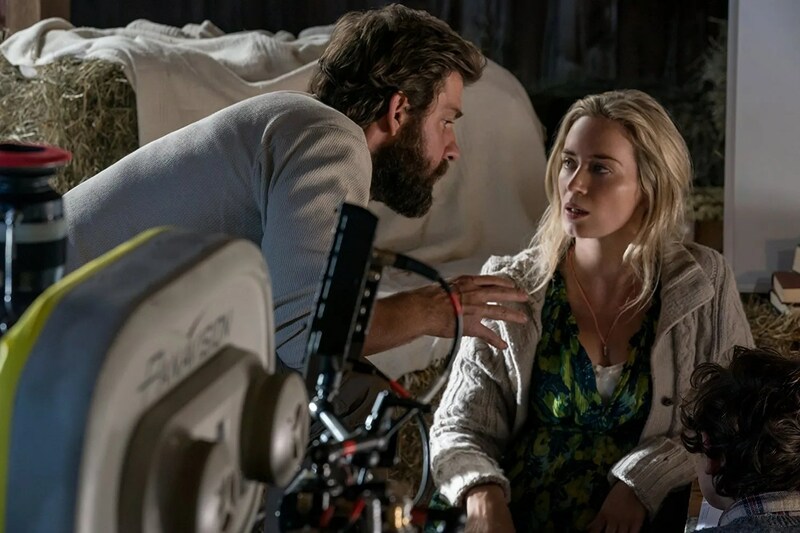 The film came as a surprise to most — a tense and thrilling creature horror directed by and starring John Krasinski of The Office fame and his real-life wife, Golden Globe-winning actress Emily Blunt. Set in a not-too-distant future, the film follows a family trying to survive in a world where alien invaders hunt by sound. The film pulled in $334.5 at the box office globally and earlier this year, the studio set the sequel for May 15, 2020, a date that gave the, plenty of time to figure out the right approach to a followup — and the right creative team to lead the charge. At the time, it was still TBD whether Krasinski would return to write or direct, but during Q&A at the Silver Screen Theatre in Los Angeles (via THR), Krasinski revealed that he is in fact writing a script for the sequel… as in, he’s writing it right now.. The first film was written by Bryan Woods and Scott Beck, but when Krasinski came on board as director he made a significant pass at the script, adding a few crucial moments and details. In particular, Krasinski reworked the opening sequence, which was originally show in flashbacks, and came up with the backstories for the creatures. He also came up with a number of little details about life in the world of A Quiet Place, including touches like the sand trails for quiet walking. And, as he revealed earlier this week on Jimmy Kimmel Live! — he also played the monsters! No wonder the studio wanted him back for the sequel, he does it all.